Fee: $25/$20 members - includes an autographed copy of The Cartographer of No Man's Land, refreshments by MKELocalicious and admission to the sculpture garden. Bronze Optical invites you to arrive early to browse a diverse, vibrant selection of frames--mirror provided, of course!--while they clean and tighten the screws in your current eyewear. Register online now. Lynden Sculpture Garden's Women's Speaker Series, Bronze Optical, and Boswell Books welcome P.S. 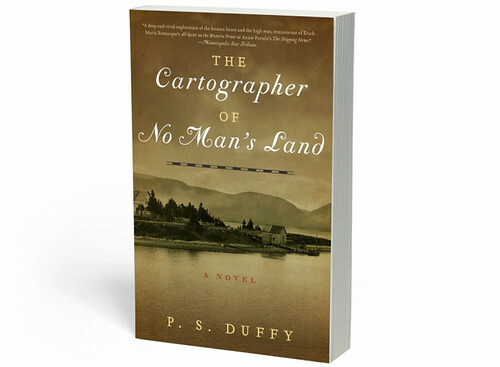 Duffy, author of The Cartographer of No Man's Land, to the Lynden Sculpture Garden, Tuesday, September 29, 7-9 pm. When his beloved brother-in-law goes missing at the front in 1916, Angus defies his pacifist upbringing to join the war and find him. Assured a position as a cartographer in London, he is instead sent directly into the visceral shock of battle. Meanwhile, at home, his son Simon Peter must navigate escalating hostility in a fishing village torn by grief. With the intimacy of The Song of Achilles and the epic scope of The Invisible Bridge, The Cartographer of No Man’s Land offers a soulful portrayal of World War I and the lives that were forever changed by it, both on the battlefield and at home. “It should do for WWI what Matterhorn did for Vietnam."